Alright, they have already been all over the blogosphere and forums, but I wanted to have the dwarves on my blog as well. Is that too selfish? 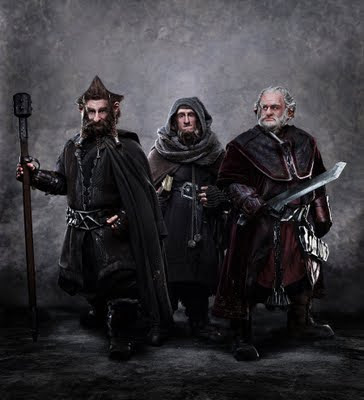 While some have expressed worries about the length of beards or that these dwarves somehow don't look right, I actually like that Jackson is individualizing the dwarves. It may even be good for the hobby that these films are challenging our often stereotyped views of demihumans. 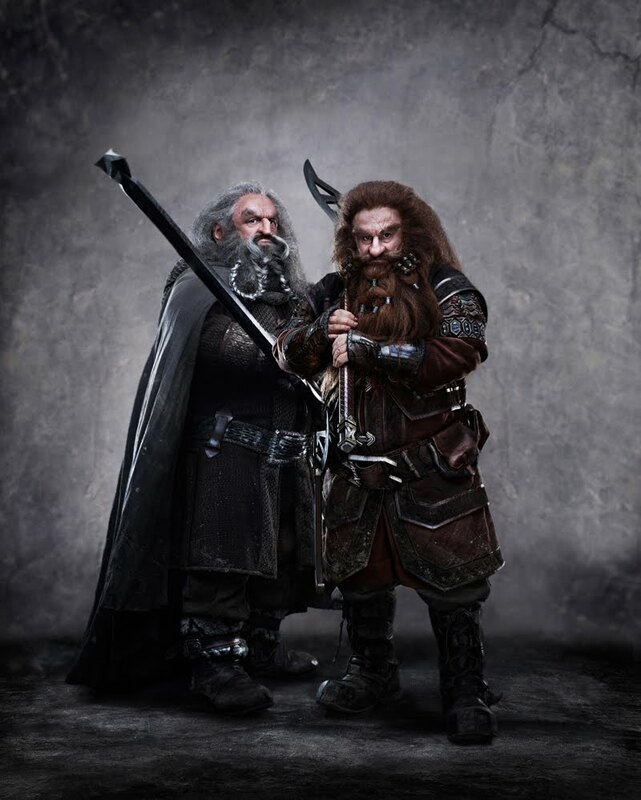 How many battle axe wielding Gimli copies have not appeared in your D&D games? How many Elven archers? 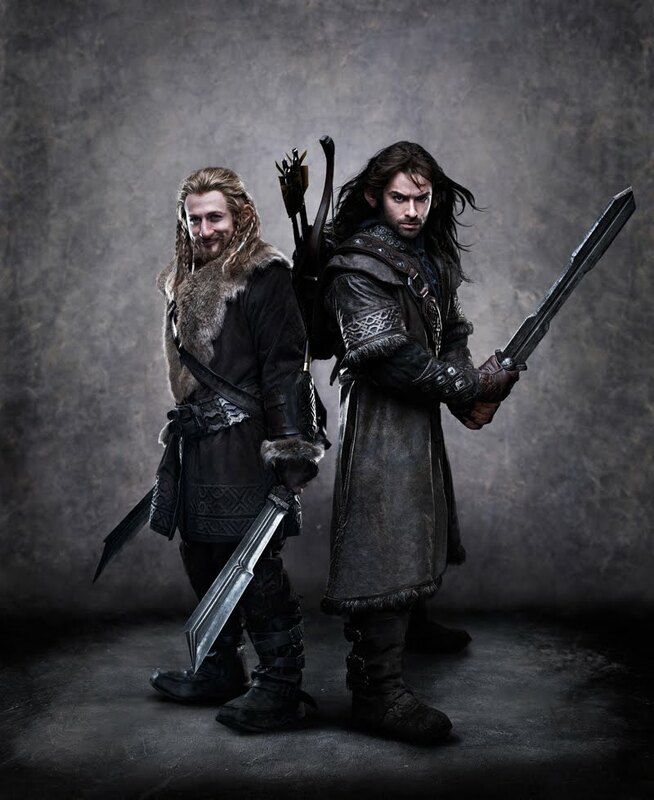 "While most of the Company of Thorin Oakensheild is related to the royal and noble line of Durin, Bofur, his brother Bombur and their cousin Bifur most definitely are … not. 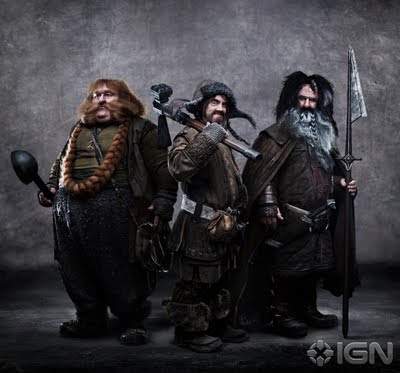 Born and bred in the West, descendants of coal miners and iron workers, they have joined the Quest for the Lonely Mountain partly to seek their fortune and partly because they were told the beer was free." I agree. When you have to many to make separate characters, some should be fairly divergent from the stereotype. I really like the weapon design -- the cleaver-like short swords, the broad-bladed short spear, both well suited to a tunnel fight. Cool. Actually, except for fili not being blond, these pics look remarkably like the Rankin/Bass cartoon versions to me.